This is a simple strategy that I have used for many years when students need to work silently for a period of time. All that’s needed is a prop which can be passed from one student to another (I use the large foam die that always lies around my classroom when need to randomly choose a group to answer a question). The rules are straightforward. The class needs to work in absolute silence. 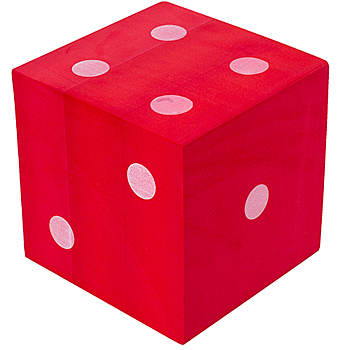 Anyone talking or otherwise disrupting anyone else in the class during the allocated time will receive the foam die and get a five-minute detention where they will have to practice sitting in silence. However, if anybody else subsequently breaks the same rules, then the original detainee is completely off the hook and the detention (and the foam die) passes instead to the new offender, who now faces a detention that has increased to six minutes. From my experience, the original detention sometimes ‘snowball’ upwards for a little while (five minutes for Rohan…six minutes now for Noah but Rohan you’re off the hook…seven minutes now for Rory, but Noah you’re free…), but then a hush will quickly descend as the cost of breaking the rules becomes the loss of an increasingly large slice of their free time! Like any disciplinary strategy it is of course crucial that the rules are made absolutely clear from the outset, and applied firmly but fairly. I always deliver it with good humour, and stress that it is in order to help the students work more productively for a clearly defined period of time. As a result I often get classes asking to ‘play a game of bounce the detention!’ when they spot themselves that productive discussion around the tables has degenerated into irrelevant chatter!